These little sweethearts are the newest version of one of my latest passions: creating clay cleansing bars (say that fast 3 times, then continue reading). If you haven't tried making a cleansing bar yet because you were just waiting for a version with yellow clay, then it's your lucky day! 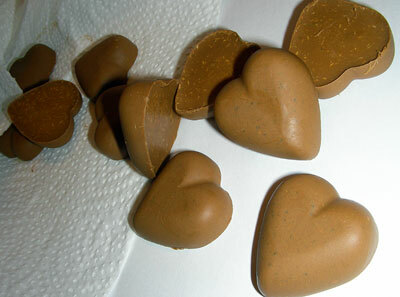 Yellow clay is great for sensitive skin. 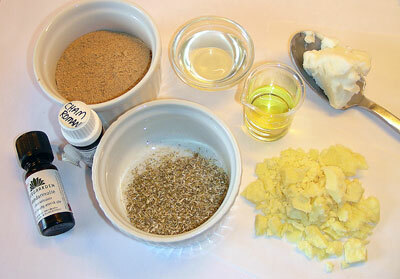 We're pairing it with chamomile and skin-loving butters to create an effective, all-in-one cleanser/moisturizer. Shall we get started? 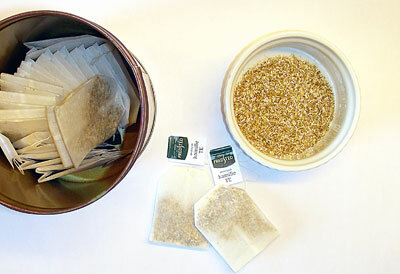 Empty 2 teabags of chamomile tea into a small cup. The tea should be powderized almost to the point of dust. Melt cocoa butter slowly over low heat. 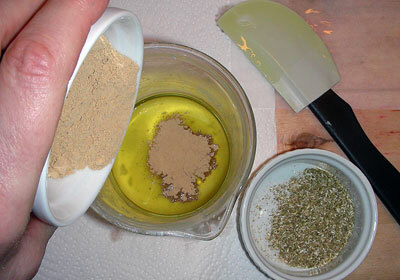 Remove from heat and add shea. Stir until melted. 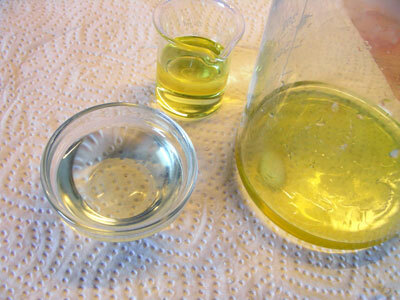 Add oils (except essential oils) and stir. 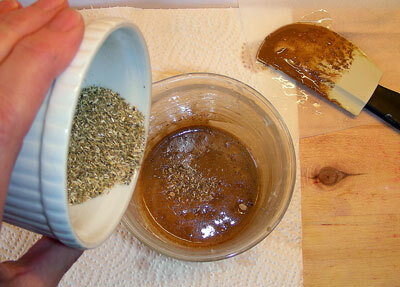 Then add chamomile and stir thoroughly. If you want to use essential oils, now is the time to add them. For this bar, I used a few drops of chamomile and mandarin essential oil. Pour into mold and let set. I normally use a 'bar soap' mold and will cut the finished bar into portion-sized pieces before storing. 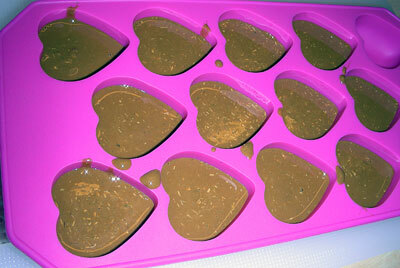 This batch, I thought it might be fun to try this 'guest soap' mold. Let the mixture set. With this mold, the bars set within an hour. The chamomile adds a touch of texture to the otherwise milk-chocolatey smoothness. Unmold and store in a zip-locking (odor-tight) bag. 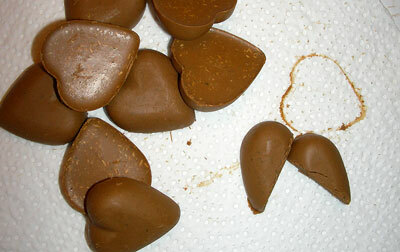 These hearts are still a tad too large for a single portion. I halved them before storing them. To use: These are particularly good as a '5 minute mask'. Apply to damp face and neck, then leave on for about 5 minutes. When you rinse off the mixture, massage your face and neck all over with a gentle circular motion. Pat dry and enjoy your fabulously clean and silky smooth skin. These look wonderful and being so gentle, I bet they'd make great gifts... especially in that cute heart mold!